Verses 18 through 34 in this chapter is Judah's amazing speech to Joseph! I don't know what it is about this speech. But I love it! It seems like Judah is finally owning up to being who he was born to be - the forefather of the line of King David and Jesus Christ. Verse 33 is the verse that really stood out to me: "Please, my lord, let me stay here as a slave instead of the boy, and let the boy return with his brothers." 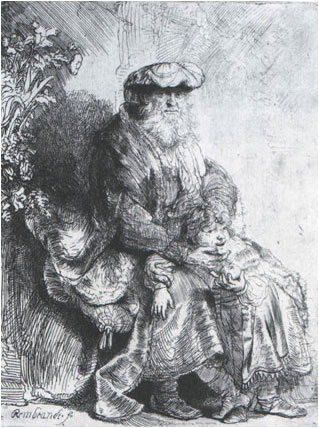 What struck me about this is that now Judah is willing to be the slave, in the place of his brother Benjamin - whereas 22 years prior he offered up the idea of selling his brother Joseph into slavery as we read in Genesis 37 verses 26 & 27: "Judah said to the others, "What can we gain by killing our brother? That would just give us a guilty conscience. Let's sell Joseph to those Ishmaelite traders." It seems like Judah in chapter 44 has finally grown up and is acting like a morally responsible adult. 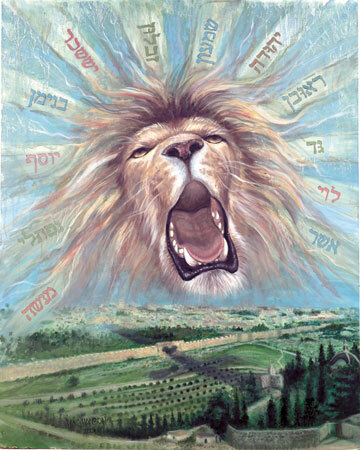 Judah with this speech today is finally beginning to look like he might indeed deserve to be referred to as the father of the tribe of the "Lion" of Judah! Verse 5 in this chapter is a powerfully mature statement from Joseph to his brothers: "But don't be angry with yourselves that you did this to me, for God did it. He sent me here ahead of you to preserve your lives." I find this very powerful that Joseph discerned this. He had been sold into slavery for 11 years! He was in a prison for 2 years! And then, yes, things got better for him thereafter - but he was still apart from his family. And yet - Joseph saw God's hand and God's plan in all of this. There was a greater good happening - the preservation of Abraham & Isaac's descendents. The preservation of God's covenant people. I then wonder about this in our lives. Are there times where we go through some hard times - maybe for many years - and in the midst of that, could God be working? 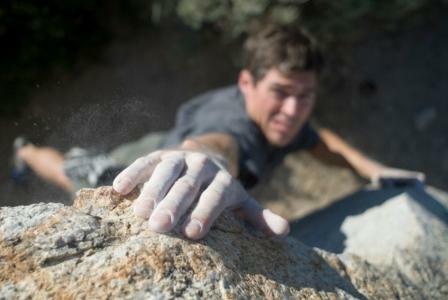 Could God's hand and God's plan be moving in the midst of challenging times in our lives? I think it's possible that if I was Joseph that maybe I would have become a bitter man toward my brothers - and maybe done worse than just mind games. 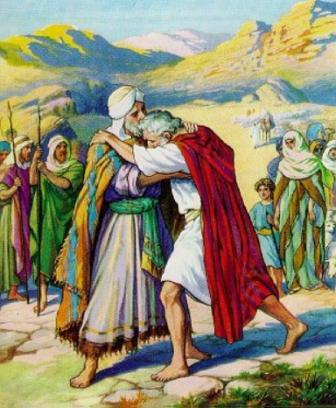 But, Joseph was compassionate - he wept - he gave grain in abundance to his family - he forgave his brothers. And more than anything, he saw that God was in control. Do you believe that God is in control of your life? Right now? All the time? No matter how good or how bad circumstances seem? Is God in control? Below is a very unique :) portrait by artist Guy Rowe of Joseph revealing his identity to his brothers and their looks of shock from 45:3: "But his brothers were speechless! 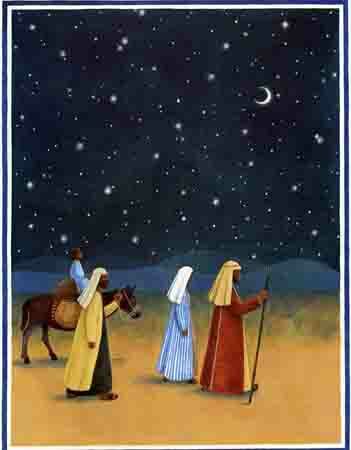 They were stunned to realize that Joseph was standing there in front of them." 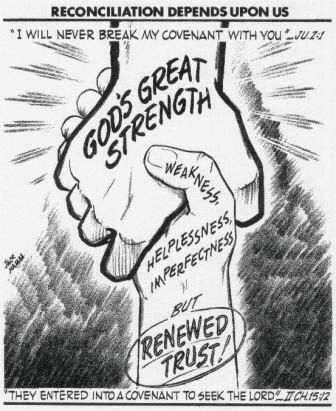 Bible.org's commentary on Genesis chapter 44 titled "The Final Test: Dothan Relived" is at this link, and commentary on chapter 45 titled "The Fundamentals of Forgiveness" is at this link. New Testament - In Matthew chapter 14 today we read about two miracles - Jesus feeding the 5,000 (or really 10,000 to 15,000 counting men, women & children - Matthew just counted men, as his Gospel was written to a Jewish audience, which had men eat separately from women and children at that time/place) and Jesus walking on water. While these 2 miracles are amazing and again confirming that Jesus is God - a couple of other things stood out me. 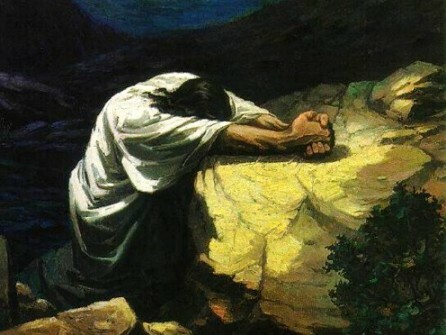 First was verse 23: "Afterward he went up into the hills by himself to pray." If Jesus did this - do you think we should do the same? 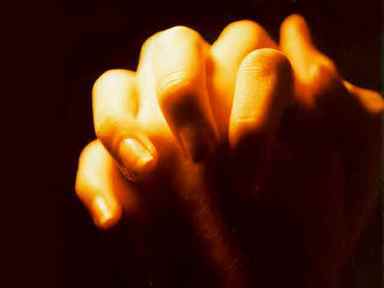 How often do we get away from the "crowds" or even the "disciples" or loved ones in our life to be by ourselves and pray? Do you do this at least for a few minutes each day? Do you do this for longer periods of time too? Verses 29 & 30 also stood out to me today: "All right, come," Jesus said. 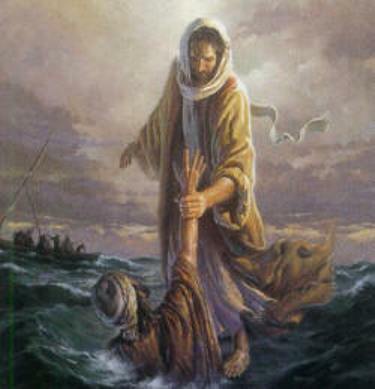 So Peter went over the side of the boat and walked on the water toward Jesus. 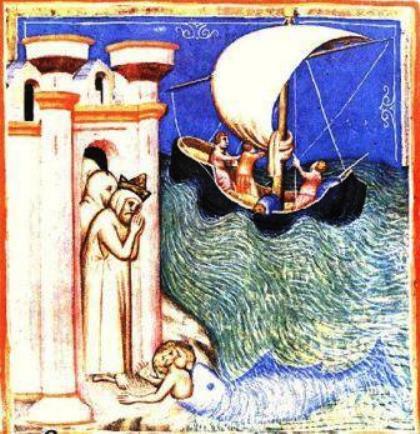 But when he looked around at the high waves, he was terrified and began to sink. "Save me, Lord!" he shouted." These verses made me wonder in our own lives - Are there times or areas our lives where Jesus has said, "Come", and we've moved forward in faith. But then - the waves came... the challenges came... the doubts came... the insults came.... and we started to waver in our faith? Maybe we got scared - and started to sink? Well - I do admire that Peter did cry out to Jesus to save him in this situation - and we then get the reassuring verse 31: "Instantly Jesus reached out his hand and grabbed him." If you feel like there are some areas in your life where you are sinking - will you cry out to Jesus to save you? 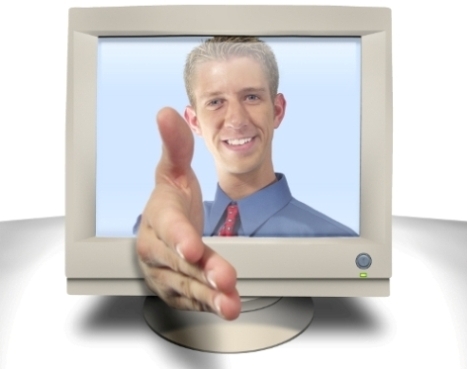 Do you believe he will instantly reach out his hand and grab you? Psalms - Today we finish up Psalm 18. (Psalm 19 tomorrow! So excited! :) The closing verse 50 of Psalm 18 today is powerful - and I believe can apply to both David and Jesus: "You give great victories to your king; you show unfailing love to your anointed, to David and all his descendants forever." Are you a spiritual descendent of David? Do you believe that God shows you unfailing love? 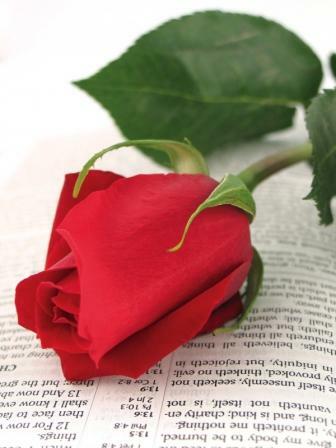 Do you think that God's Word, the Bible, shows His unfailing love for you? Bible.org's commentary on today's readings in Matthew chapter 14 titled "The Feeding of the Five Thousand" is at this link. Proverbs - Proverbs chapter 4 verse 13 was impactful for me today: "Carry out my instructions; don't forsake them. Guard them, for they will lead you to a fulfilled life." I like that last thought - guard God's instructions. Don't forsake them. For they will lead you to a fulfilled life. I think sometimes people think that loving God and following his ways will be BORING. :) This is so not true! It is absolutely the best adventure we could ever imagine. And truly, following God and his instructions is the only way I personally believe that any of us can have a fulfilled life. I do not think there is another way to lead a fulfilled life. Can you imagine a life apart from God being fulfilling? Is this remotely possible?? 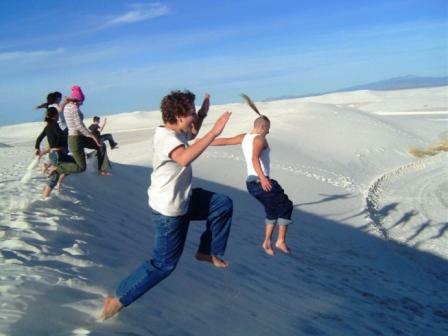 Today, let us leap into the adventurous life of faith that God is truly calling us to live! Comments from You and Questions of the Day: Based on our readings in Matthew today where we see that Jesus slipped away from the crowds to pray by himself, do you model this behavior of Jesus' in your life and slip away from the crowds to pray by yourself? How often? Where and How? Also, do you take spiritual retreats? Do you take the retreats alone or with others? 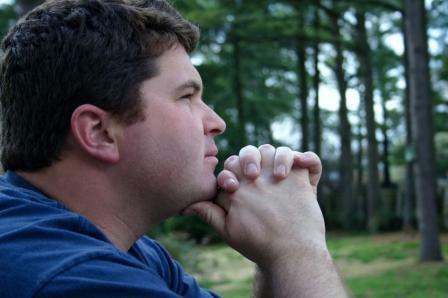 Is prayer a central part of the retreats? I'm just curious about spiritual retreats. 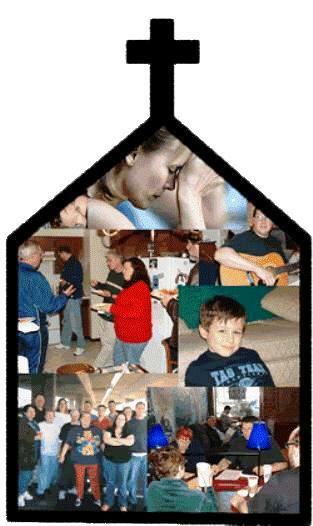 I cannot say that I have done a prayer-focused spiritual retreat - or even an alone-with-God focused spiritual retreat. I think I might be due. :) Also, what verses or insights stand out to you in today's readings? Please post up by clicking on the "Comments" link below! Old Testament - Hi everyone - I'm a bit short on time today, so brief OT post. Bible.org's commentary on Genesis chapter 42 titled "The Proper Use of Power" is at this link and commentary on Genesis chapter 43 titled "The fears of Jacob and the tears of Joseph" is at this link. In verse 57 we read this when Jesus was in Nazareth: "Jesus said to them, "Only in his hometown and in his own house is a prophet without honor."" This verse remind me that sometimes when we really move forward in our faith, our friends (“hometown” from the verse above) and our relatives can sometimes not understand what is going on with us. I think there are phases of our walk with God where really it becomes very personal – between us and God – and through that process God will transform us. And our friends and relatives sometimes may not appreciate our change for various reasons – just as Jesus’ friends and relatives did not appreciate his ministry in this verse. I hope that this verse can be of comfort to you if by chance you are having challenges reconciling your faith and your changed heart with your friends & relatives expectations of who you were in the past. Know that you are on the right path. As long as you are staying focused on God and his will for your life, you may have to accept some loss of “honor” (per the verse above) in your status with your friends and relatives. 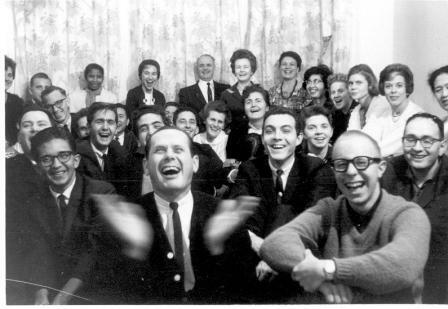 You may not seem to be as “cool” or “fun” or whatever as you once were in your friends’ eyes. But – if in God’s eyes you are loving Him with all of your heart and you are loving your neighbors as yourself, then you are eternally cool and fun in the Kingdom of Heaven. And that’s where it really counts. Where are you seeking “honor” in your life today? 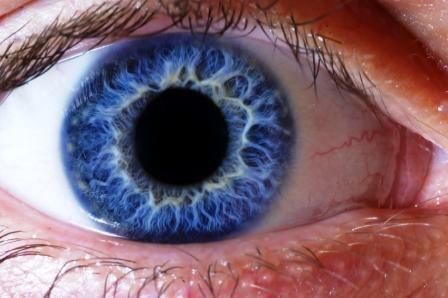 In the eyes of your friends and relatives – or in God’s eyes? 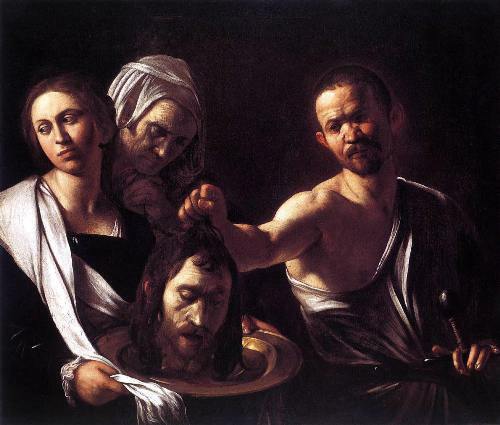 Today we read about the beheading of John the Baptist. I found this painting below by the Italian artist Caravaggio from the year 1610 titled "Salome with the Head of St. John the Baptist." I almost hesitated to post this painting up, but I think it's worth us considering. This is what happened to the man who proclaimed Jesus' ministry was coming. This is what happened to the man who baptized Jesus in the Jordan. And of course this brutality pales in comparison to what Jesus went through on the road to Golgotha. 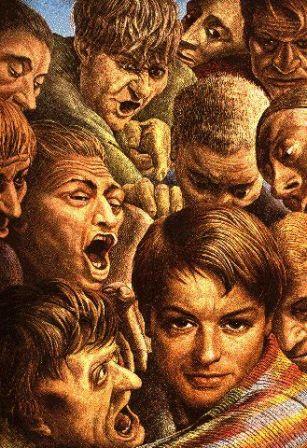 This painting below and thinking about Jesus' passion, suffering, and death just made me think that sometimes following God does not lead strictly to "health and wealth." But sometimes truly following God leads to suffering and poverty. But - and here's the key but - it also leads to eternal life! 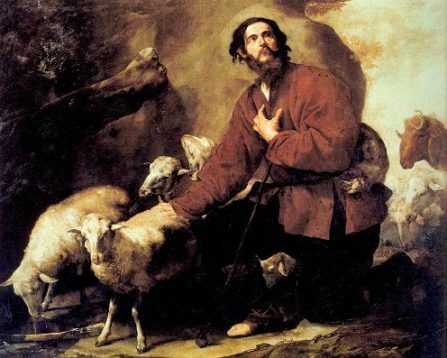 So, no, perhaps many/most/all of us will not go through what John went through in today's readings or in this painting below. But you know what, if we are truly following God, Jesus and the Holy Spirit, I think we need to realize that this type of thing can happen. But if this type of thing happens while pursuing and loving Jesus with all that you are, then it's of course worth it because Jesus will raise you up on the other side! Psalms - There are so many great verses today for us to meditate upon in Psalm 18! I love verses 25 through 27: "To the faithful you show yourself faithful; to those with integrity you show integrity. To the pure you show yourself pure, but to the wicked you show yourself hostile. 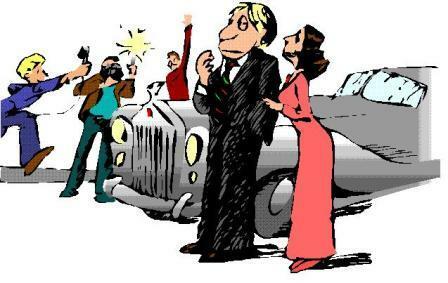 You rescue those who are humble, but you humiliate the proud." Are you showing yourself to be faithful to God? Are you living with integrity? Are you showing yourself to be pure? Is God showing you these things as well? I really love verse 28: "LORD, you have brought light to my life; my God, you light up my darkness." 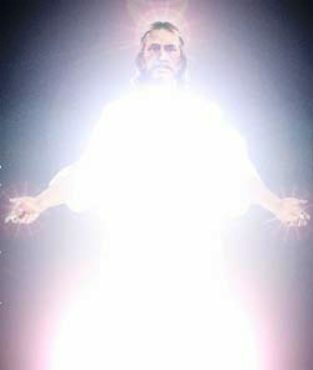 Has Jesus brought light into your life? Does God light up your darkness? Proverbs - I love Proverbs 4:7 today! "The beginning of wisdom is this: Get wisdom. Though it cost all you have, get understanding." How simple and yet profound is that first sentence? The beginning of wisdom = get wisdom. Can't argue with that! :) The question then becomes how do we get wisdom? Or, where do we get wisdom. I will say simply, The Bible is the best fount of Wisdom I know of. So, reading and studying the Bible on a daily basis = wisdom. Then the second sentence in the verse above is great too - though it cost all you have, get understanding. Where does understanding come from? Again, I'd say the Bible. But I'll also say that I think understanding comes from investing in a community of people and being invested in by other people. We can't really get understanding on our own, being a "lone ranger." We need others in our life so that iron sharpens iron. I hope and pray you are in a local church community? And I hope and pray you are in a small group of some sort? We need others to do life with and to gain understanding. Will you find a church or a small group in this next month if you're not part of a church or small group yet? Comments from You and Questions of the Day: Based on my comments above in Matthew, have you ever lost some "honor" with your friends or family as you've moved forward in your faith? If you did lose honor with your friends did you gain honor with God? Do you think you sometimes base your decisions more on what other people will think? Or do you base your decisions on what God will think? At times in your faith walk have you had to distance yourself from some old friends so that you can move forward in your faith walk? Has this been hard? Has it been worth it? Also, what verses or insights stand out to you in today's readings? Please post up by clicking on the "Comments" link below! Bible.org's commentary on today's readings in Genesis chapter 41 titled "From the Pit to the Palace" is at this link and commentary on chapter 42 titled "The Proper Use of Power" is at this link. New Testament - In today's Matthew readings we go through 5 parables that begin "The Kingdom of Heaven is like..." Great way to start these parables! They do indeed give us a glimpse of what the Kingdom of Heaven is like. Do these parables speak to you as you read through them? I know they do for me. Sometimes in encouraging ways. Sometimes in convicting ways. I love verses 31 & 32: "The Kingdom of Heaven is like a mustard seed planted in a field. 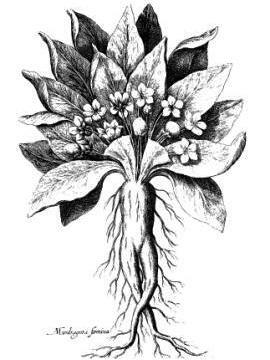 It is the smallest of all seeds, but it becomes the largest of garden plants and grows into a tree where birds can come and find shelter in its branches." I think if we cultivate the seed that Jesus plants in our hearts - the Gospel - we will see an amazing plant grow that will ultimately bless others. From the tiniest beginnings, with patience and faith, can come the largest of plants. If you haven't yet, will you let Jesus plant a mustard seed in your heart? And will you be patient and allow the seed time & space to grow? And will you water and care for the seed of the Gospel planted in your heart so that one day it will be a beautiful tree of life for yourself and others you come in contact with? 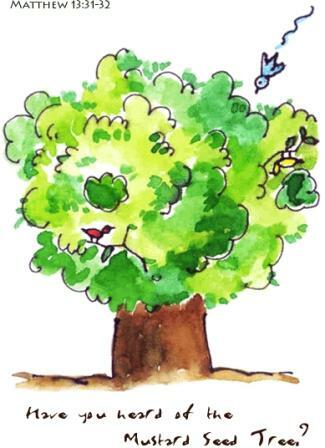 Will you allow Jesus to grow a mustard seed tree with your life? I love the last 2 parables in today's readings! 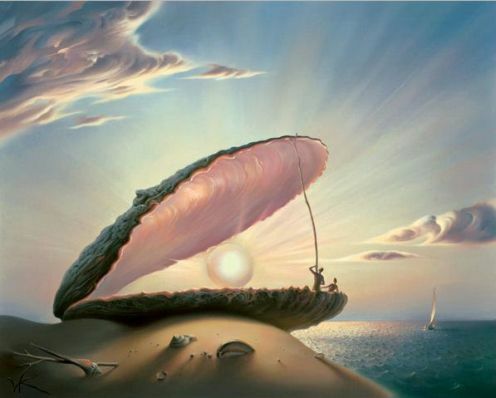 The treasure buried in a field and the pearl of great price. And the thought of being willing to give up absolutely everything to be a part of the Kingdom of Heaven. How about for you? Are you willing to give up absolutely everything to be a part of the Kingdom of Heaven? Is there a price too high that you would not be willing to pay? I will share with you this somewhat related tangent. I had this really interesting jog several years ago. And it was before I was a Christian, so I didn't equate my thinking with the "Kingdom of Heaven" at this time. But, here were my thoughts that night on the jog. As I was jogging I thought to myself - I am a "billionaire"! Why? Because I am blessed with this opportunity to jog, and to check out the beautiful night air around me, and more than anything because of this wonderfully complex thing in my skull called the brain. :) The brain that allows me to do all these things and to simply think and enjoy life. And I thought to myself - at what price would I give up the ability to use my brain? Would I sell my brain for 1 billion dollars? And the answer is obviously no - because there would then be no point to living in this life without the brain. So - I reasoned with myself, well - "Then I am a billionaire!" I have a billion dollar asset in my skull! :) I hope this isn't too random of a tangent. Maybe you'll realize that you are a billionaire today too though? :) To tie this back to the Kingdom of Heaven. Would I sell of my rights to the Kingdom of Heaven for 1 billion dollars. No. So - I guess then technically, I am a multi-billionaire now! 1 billion asset value for the brain + 1 billion asset value for the Kingdom of Heaven! The point being... or maybe the question to you. Which would you prefer - 1 billion in cash, or the Kingdom of Heaven? Is there any price you would place on giving up the Kingdom of Heaven? If not - will you pursue the Kingdom of Heaven with all of your worth? And will you then share this amazing "pearl of great price" with others around you? 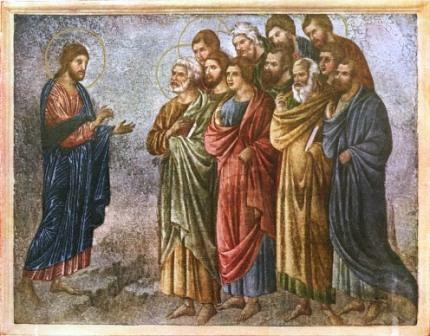 Bible.org's commentary on today's readings in Matthew chapter 13 titled "The Parables of Matthew 13" are at this link. Psalms - Psalm 18 is an amazing one! We'll get it for the next 3 days of readings, which is great. And then comes Psalm 19 which is off the charts awesome! Verse 1 today is so beautiful: "I love you, LORD; you are my strength." How often do you tell God that you love him? One thing that one of my former pastors does when he prays publicly, which absolutely moves me, is that he closes out just about every prayer with "God we love you. And we pray all of this in the name of your son Jesus." The last line of course is the powerful line! But, that second to last line... is just beautiful. Just telling God that we love him. I'm not sure I tell God that I love him often enough. God may not "need" to hear it. But I think that I need to say it more often. I love you God! Proverbs - Proverbs 4 today are some wonderful verses from Solomon reminiscing on instructions he received from his father David! 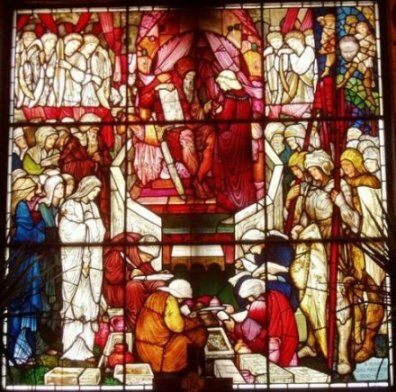 Below is a stained glass image of David giving instructions to Solomon - we can imagine that David was even telling Solomon verses 4 through 6 in this image below: "My father told me, "Take my words to heart. Follow my instructions and you will live. Learn to be wise, and develop good judgment. Don't forget or turn away from my words. 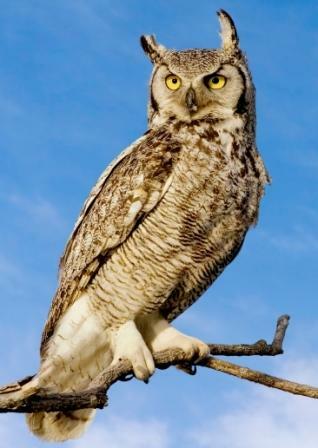 Don't turn your back on wisdom, for she will protect you. Love her, and she will guard you." 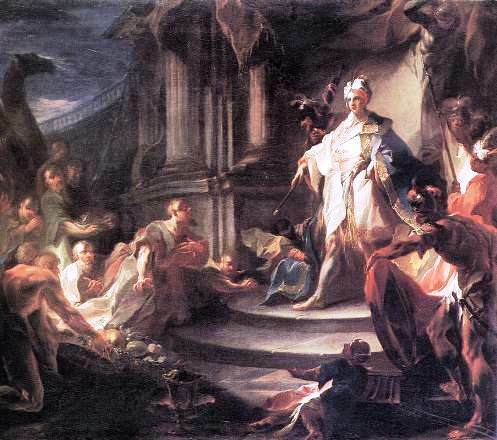 Comments from You and Questions of the Day: Okay, back to all of my fretting above about if I was given all that Joseph was given by the Pharaoh in today's readings... :) What are your thoughts on this - if you were given all of these things, would it inflate your ego possibly? Would you possibly forget about God? It's interesting to reflect upon the devil's temptation of Jesus in the wilderness, from our earlier readings this year in Matthew - the devil was tempting Jesus with a lot of "stuff" - and Jesus refused it all! I'm just wondering if even today in our modern world if we need to be careful about being tempted by too much wealth or power or pride, etc.? But then I also wonder if sometimes God elevates us to important positions, like Joseph, so that we may be a blessing to many? I do think this is possible for sure - I just think maybe the richer we get or the more powerful we get, the more we need to pray and stay as absolutely close to God as possible. 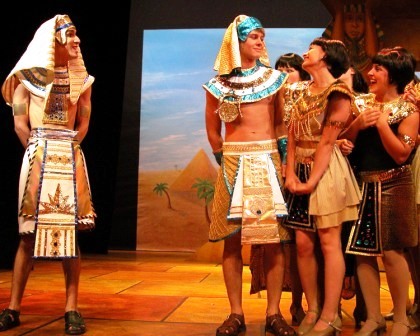 Would you want to be in Joseph's type of situation today? Think you could handle it? I pray that each of us could, and will, no matter what position in this life we are called to by God! Also, what verses or insights stand out to you in today's readings? Please post up by clicking on the "Comments" link below! Bible.org's commentary on Genesis chapter 39 titled "From the Penthouse to the Prison" is at this link and commentary on chapter 40 titled "How to Get Out of the Pits" is at this link. 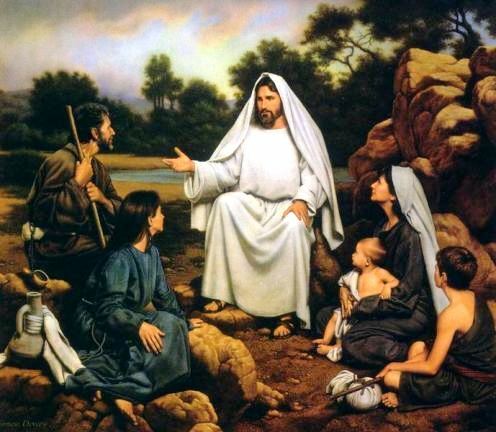 New Testament - Matthew 12 verses 48 through 50 are powerful: "Jesus asked, "Who is my mother? Who are my brothers?" Then he pointed to his disciples and said, "These are my mother and brothers. Anyone who does the will of my Father in heaven is my brother and sister and mother!"" I read an interesting commentary that said that these words from Jesus were stating that spiritual bonds are as strong as physical bonds. And that in this teaching Jesus was paving the way for a new community of believers - the church! Very cool... Are you a brother and sister and mother of Jesus? Matthew chapter 13 verses 11 & 12 are important for us to consider: "Then he (Jesus) explained to them, "You have been permitted to understand the secrets of the Kingdom of Heaven, but others have not. To those who are open to my teaching, more understanding will be given, and they will have an abundance of knowledge. But to those who are not listening, even what they have will be taken away from them." There is so much truth in these last 2 sentences. This is why personally I feel so blessed to be reading the One Year Bible each and every day - currently in my 5th year of doing so - and God-willing, for all of my years to come. I personally absolutely need the grace and wisdom that comes from being in God's Word every day - and truly, more and more understanding and knowledge of God and Jesus and the Holy Spirit does come my way I believe each day - even if (and especially if!) I am reading the Bible again for the 5th time. The repetition is not repetitive, but really allows for insights to soak in and to be revealed. I can't quite say that I feel like I have an abundance of knowledge... :) But - I know that I am on that road by reading the Bible each day and I so look forward to gaining more and more knowledge of God's story as I go. And - to grow deeper into relationship with God and Jesus and the Holy Spirit. So - the knowledge itself is great, but the relationship and peace and grace that comes from the Trinity - even better. I pray that you too see the value in reading the Bible each day and being open to Jesus' teachings so that more understanding will come your way? 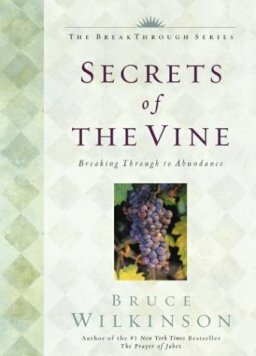 Verse 22 in this chapter is convicting for me, as I have experienced this in my life in the past.... "The thorny ground represents those who hear and accept the Good News, but all too quickly the message is crowded out by the cares of this life and the lure of wealth, so no crop is produced." .... and I still struggle with the "cares of this life" crowding out the Good News in my life today! I think in some ways this might be a life long struggle. How are you doing on this verse? Where is God's seed of the Good News being sown in your life? In the good soil of your heart? 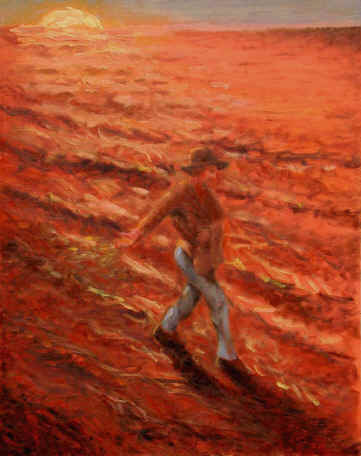 Bible.org's commentary on today's readings in Matthew chapter 13 titled "The Parable of the Sower and the Seed" is at this link and "The Parables of Matthew 13" are at this link. 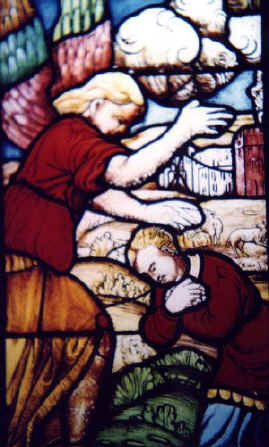 Psalms - In Psalm 17 David appeals to God as Judge when he is being attacked by foes. Verse 7 is a great prayer and comfort! "Show me your unfailing love in wonderful ways. 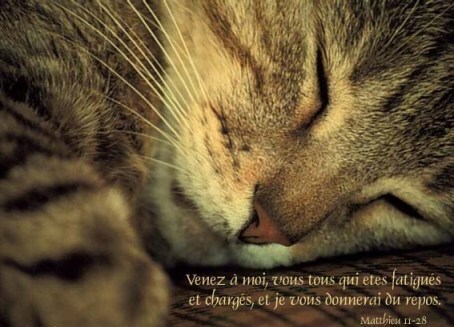 You save with your strength those who seek refuge from their enemies." Do you seek refuge with God from whatever might attacking you? Do you believe that God will show you his unfailing love in wonderful ways? Have you been saved by God's strength? Have you sought refuge with God from your "enemies"? 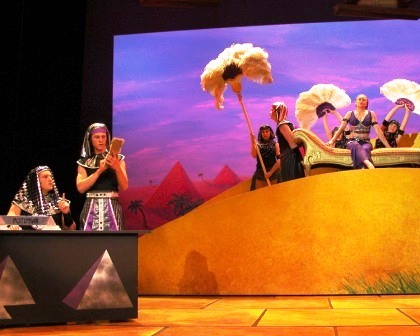 Comments from You and Questions of the Day: Based on my comments above related to our readings in Genesis about God blessing Potiphar for Joseph's sake - I wonder - does God intervene and bless our work lives? I think He does. I'd love to get your opinions on this - do you pray about your work life regularly? 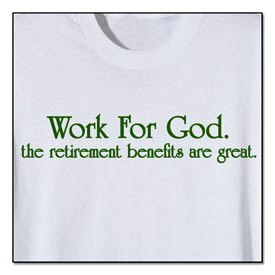 Do you think God blesses your work life? And like Joseph, does God maybe bless those around you, even if they aren't necessarily in relationship with God? And maybe does He do this for your sake? Also, what verses or insights stand out to you in today's readings? Please post up by clicking on the "Comments" link below! Bible.org's commentary on today's readings in Genesis chapter 37 titled "Jacob, Joseph, Jealousy, and a Journey to Egypt" is at this link and commentary on chapter 38 titled "The Skeleton in Judah's Closet" is at this link. New Testament - Jesus' teaching in Matthew Chapter 12 verse 30 stood out to me in today's readings: "Anyone who isn't helping me opposes me, and anyone who isn't working with me is actually working against me." This is a really really powerful verse if you think about it. And I think we then need to ask ourselves - are we really helping Jesus? Are we really working with Jesus? Are we really being obedient to Jesus' teachings for our life? And if not, are we then actually working against Him? Jesus' teaching on the sign of Jonah in this chapter is awesome! In verse 40 Jesus prophesies His death, burial and resurrection: "For as Jonah was in the belly of the great fish for three days and three nights, so I, the Son of Man, will be in the heart of the earth for three days and three nights." And then the following verse is just so powerful and convicting: "The people of Nineveh will rise up against this generation on judgment day and condemn it, because they repented at the preaching of Jonah. And now someone greater than Jonah is here--and you refuse to repent." Do you believe that Jesus is greater than Jonah? And greater than Solomon? 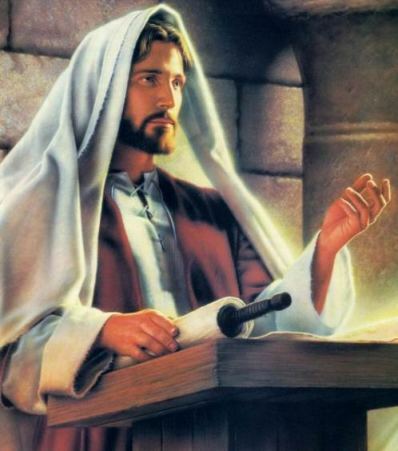 (as we read in verse 42) Do you understand Jesus' teachings? Are you repenting? Bible.org's commentary on today's readings in Matthew chapter 12 titled "Beelzebub or the Holy Spirit?" 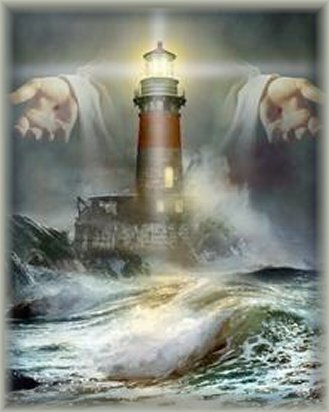 is at this link and "The Sign of Jonah" is at this link. 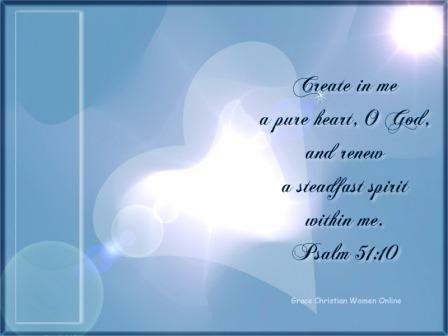 Psalms - Today we read Psalm 16, which I absolutely love! I could probably share with you some thoughts on just about every verse in this Psalm. Verse 1 tells us: "Keep me safe, O God, for I have come to you for refuge." Do you believe that God will keep you safe if you come to Him for refuge? And verse 2 is so true: "I said to the LORD, "You are my Master! All the good things I have are from you."" Everything good thing in our life - absolutely everything good thing in our life - comes from God. Do you believe this? Verse 3 reminds me to rejoice for and pray for our pastors and spiritual mentors: "The godly people in the land are my true heroes! I take pleasure in them!" Do you appreciate your pastors / ministers / priests and spiritual mentors? And do you appreciate other godly people you know too? Are they true heroes? Do you pray for these folks regularly? If not, will you? And verse 11 is a powerful closing to this Psalm 16 and perhaps a prayer for us to pray fervently: "You will show me the way of life, granting me the joy of your presence and the pleasures of living with you forever." Do you want to be shown the way of life from God? Do you want to be granted the joy of God's presence? Do you want the pleasure of living with God forever? Have you prayed to God and Jesus and the Holy Spirit to give you these things in your life? Will you pray this prayer? Proverbs - Today we read Proverbs chapter 3 verses 27 and 28: "Do not withhold good from those who deserve it when it's in your power to help them. If you can help your neighbor now, don't say, "Come back tomorrow, and then I'll help you."" How often do we say to ourselves when we think about serving the poor – "oh, I'll maybe do that in the future." Is this similar to saying "come back tomorrow, and then I'll help you" as this Proverb tells us? Can you help your neighbor now? 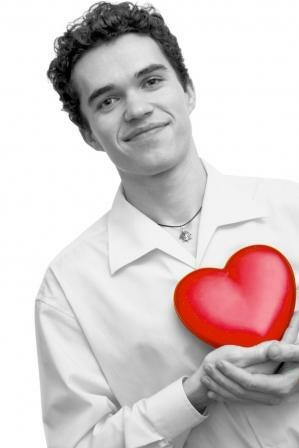 Do you regularly volunteer with ministries or nonprofits that serve the poor? 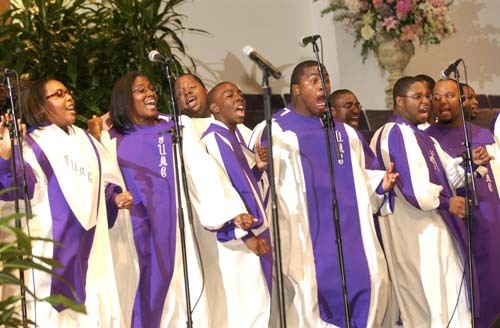 Do you consistently give offerings of your finances to ministries and/or nonprofits that serve the poor? Are the poor your neighbor? Should you be helping them today? Is it in your power to do so? Will you not wait until tomorrow? Will you get your hands dirty now to help your neighbor during their time of need? Comments from You and Questions of the Day: Back to my comments on dreams and how reading the Bible and proclaiming the name of Jesus has brought forth Light into my sleep - have you experienced the Bible or the name of Jesus doing powerful things in your life? Has the Bible or the name of Jesus freed you from addictions? Does reading the Bible make you a calmer person or more grounded person if you read it the morning? Basically, do you believe that reading the Bible changes things in your life? Does the name of Jesus change things in your life? Also, what verses or insights stand out to you in today's readings? Please post up by clicking on the "Comments" link below! Bethel was the place where God first gave to Jacob His covenant promise that was also given to Abraham and Isaac - and the covenant promise is reconfirmed in today's readings in chapter 35 verses 11 and 12: "Then God said, "I am God Almighty. Multiply and fill the earth! Become a great nation, even many nations. Kings will be among your descendants! 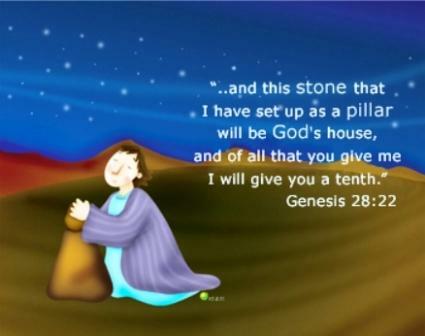 And I will pass on to you the land I gave to Abraham and Isaac. Yes, I will give it to you and your descendants." These 2 verses are essentially thought to be the climax of the Isaac-Jacob portion of Genesis. In tomorrow's readings we begin the Jacob-Joseph portion of Genesis. (which is an amazing narrative that begins tomorrow...) The covenant continues! Bible.org's commentary on today's readings in Genesis chapter 35 titled "The Way Back" is at this link and commentary on chapter 36 titled "A Hairy Tale" is at this link. New Testament - Today in Matthew chapter 12 we read about Jesus' teachings surrounding his healing on the Sabbath. Note that in verse 14 the plots to kill Jesus begin: "Then the Pharisees called a meeting and discussed plans for killing Jesus." Why do you suppose these plots started at this point? I don't think it was this one incident per se that began the plots in and of itself - but it was probably a culmination of Jesus' teaching, preaching, and healing ministries up to this point that started murmurs and discussions and finally led to plots. 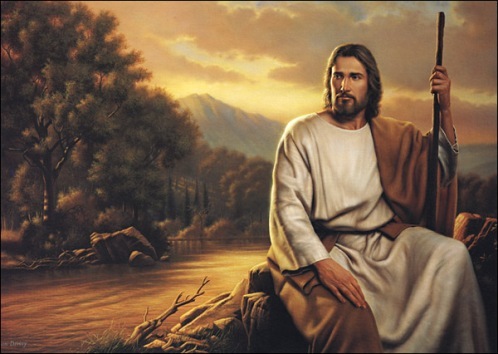 I think Jesus' wisdom and power and popularity with the people were seen as a threat. Do you suppose that Jesus' wisdom and power and popularity with the people are seen as a threat by some in our world today? I love the Isaiah prophecy in today's readings, summarizing the quiet aspects of the ministry of Jesus! Verse 21 makes me tear up to really meditate upon: "And his name will be the hope of all the world." How does this verse strike you? Do you believe that Jesus' name is the hope of the world? Is Jesus' name the hope of your own personal world? Bible.org's commentary on today's readings in Matthew chapter 12 titled "The Lord of the Sabbath" is at this link. Psalms - Psalm 15 verses 1 & 2 today are awesome: "Who may worship in your sanctuary, LORD? Who may enter your presence on your holy hill? Those who lead blameless lives and do what is right, speaking the truth from sincere hearts." Psalm 15 was written for those that wished to have access to God in his Temple in Jerusalem. However, I do believe that today, through Jesus, anyone can worship God anywhere - in a church or in our homes or wherever we find ourselves. However, I do think there is truth in these Psalm verses in that we can worship God beautifully by living a blameless life (not perfect life - only Jesus was perfect this side of heaven - we will need to confess sins & repent), doing what is right, and speaking the truth from sincere hearts. I do believe these are acts of worship that demonstrate our friendship with God and our growth in becoming more like his son Jesus in our lifetimes. Do you seek to lead a blameless life? Do you seek to do what is right? Do you speak the truth from a sincere heart? Do you seek to worship God in some way each and every day? How? Proverbs - I love Proverbs 3 verses 21-23 today: "My child, don't lose sight of good planning and insight. Hang on to them, for they fill you with life and bring you honor and respect. They keep you safe on your way and keep your feet from stumbling." These verses remind me of a couple of things. First is the old adage of "Trust in God. And tie up your camels." Meaning, tying up your camels to a pole so they don't wander away is good planning and good insight. It's common sense. Obviously you don't want to live your life on solely your own smarts and your own planning and your own insight. We need God to be our foundation. But, at the same time I think God wants us to be smart about how we live our lives. Yes, trust in God, but wear your seatbelt. Trust in God, but save some money for a rainy day. See where I am going with this? The other thing that these Proverbs verses remind me of is one of my favorite three word quotes: "Habits determine success." I've spoken about this in some of my weekly emails in regards to reading the One Year Bible each day. It takes some planning and insight for us to figure out when we will realistically read the Bible for 15 minutes every day. After this planning and insight and after a week or two we've suddenly built up a great habit! A habit that will determine our success in reading the Bible in a year. Comments from You and Questions of the Day: Based on my reflections in Proverbs above, how do you go about planning things in your life? In what ways do you invite God into the process of planning your life? And in what ways, or at what times, do you simply make decisions based on your own knowledge or common sense? What is the foundation of your own knowledge or common sense? Is it the Bible? Is it God? Do you suppose with the foundation of God and the Bible in our lives, that we may not need to take every single decision throughout our day to God in prayer because we are operating (generally speaking) from a biblical godly worldview? How do you balance taking things to God for guidance and making decisions on your own? Also, what verses or insights stand out to you in today's readings? Please post up by clicking on the "Comments" link below! 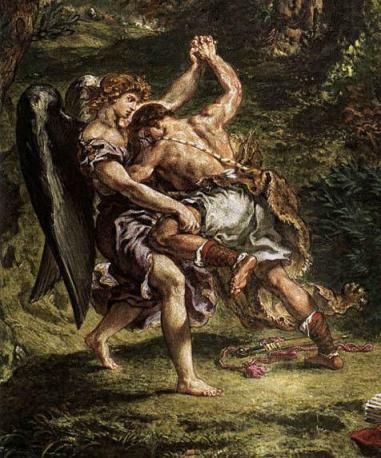 Old Testament - Chapter 32 closes out with Jacob in a wrestling match! With God? Or an angel? Or God in the form of an angel? Or Jesus preincarnate? Or Michael the archangel? Biblical commentaries offer a few different views on just who Jacob was wrestling with. Clearly, God ordained whomever was wrestling with Jacob and I do think it could have been God himself in an angelic form. It was obviously not God himself in all of his glory - because He would have whooped Jacob in a wrestling match! :) We do see the quick & fierce power of whom Jacob was wrestling in verse 25 when "he struck Jacob's hip and knocked it out of joint at the socket." Please do let me know your thoughts on who Jacob was wrestling this night in the Comments section below? 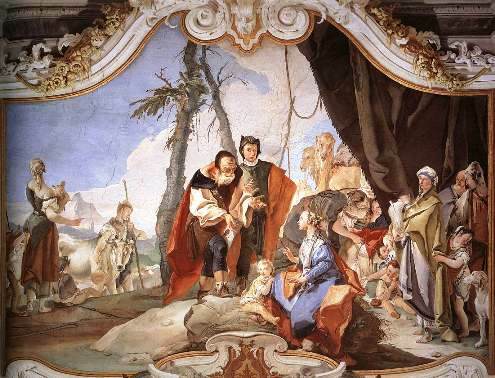 Today's Genesis chapter 32 starts off with Jacob preparing presents for Esau. Overall, I thought this was pretty smart. I suppose in some ways you could look at all this as bribery... :) But, I guess I thought Jacob was demonstrating some good business / political principles here. This is something that I do struggle with at times in my own life - a balance of utilizing good business principles versus relying completely on God. I suppose you could argue that Jacob should have simply relied on God to prepare the way for Jacob's meeting with Esau. And this would be a good argument - Esau had become wealthy over the years himself, and seemed to have forgiven Jacob before they met up here again. Though, if you were in Jacob's shoes, think about how you would have had no way of knowing this... and think about the last time you saw your brother 20 years earlier and how that ended... I do think that while clearly our reliance should be on God and His work and providence first and foremost, I believe God also wants us to be actively partnering with him. So, I think after we first pray to God about a situation, we should also do the work that we are called to do by God for the situation as well. This is where I think good business / political principles can come into play - as long as they are clearly aligned with the will of God. Again - a fine line to walk, and a line that can only be blessed by the Holy Spirit. We cannot walk this line on our own power or smarts. Do you pray to God to show you the work He wants you to do in your life? Do you also ask God to show you the work to be done in various situations that arise in your life? Do you enjoy working with God? 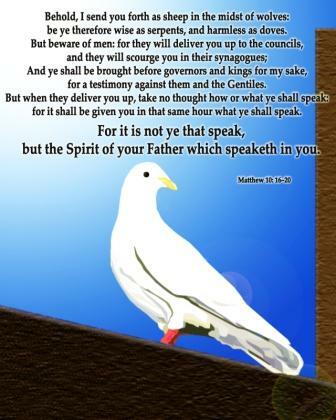 In verse 14 of this chapter we see Jacob likely being deceitful again: "So go on ahead of us. We will follow at our own pace and meet you at Seir." He did not follow Esau and meet him at Seir, as we will see in the next chapter. And commentaries suggest Jacob never intended to go to Seir. 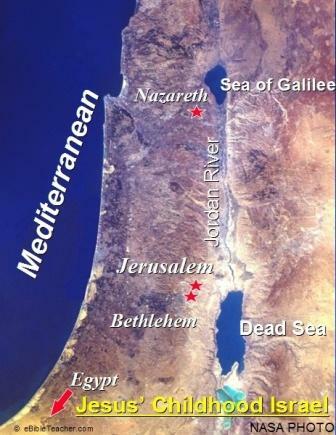 Below is a pretty good map showing you where some events in this chapter took place: Peniel, where Jacob wrestled with God - Shechem in chapter 34 - and Seir is basically where you see Edom on the map, just south of the Promised Land. Bible.org's commentary on today's readings in Genesis chapter 32 titled "How to Win with God and Men" is at this link and commentary on chapter 33 titled "Time to Eat Crow" is at this link. 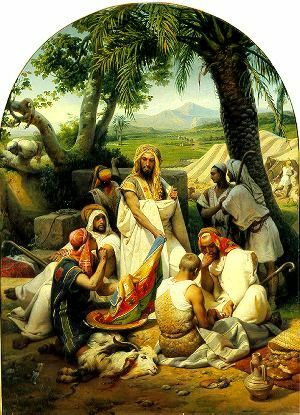 New Testament - Matthew chapter 11 opens up with Jesus teaching about the importance of John the Baptist's ministry and the transitioning from the old covenant to the new covenant, which can be seen in verse 13: "For before John came, all the teachings of the Scriptures looked forward to this present time." Basically, this could be rephrased that all of the Old Testament was prophesying about the coming of Jesus and the Kingdom of Heaven. Do you believe this to be true about the Old Testament? Verse 20 is a convicting one! "Then Jesus began to denounce the cities where he had done most of his miracles, because they hadn't turned from their sins and turned to God." This is something for each of us to really examine ourselves on. Have we heard Jesus' teachings? Do we believe in his miracles? And in light of these things - have we turned from our sins? And have we turned to God? Today we read Matthew chapter 11 verses 28 through 30, which are amazing verses for each of us to consider, particularly if we are struggling with the burden of sin or the burden of worry or the burden of regrets (and the list could go on - you can fill in the blank for your life): "Then Jesus said, "Come to me, all of you who are weary and carry heavy burdens, and I will give you rest. Take my yoke upon you. Let me teach you, because I am humble and gentle, and you will find rest for your souls. For my yoke fits perfectly, and the burden I give you is light." Is there something in your life that you are carrying on your own that is weighing you down? Do you want relief and rest from this thing that you are carrying? Will you give it over to Jesus? Will you seek rest for your soul in Jesus? Do you believe that Jesus can give you rest? 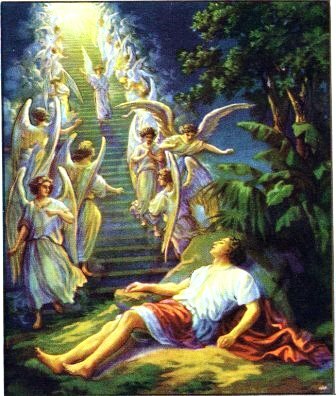 Will you accept Jesus' offer of rest this very day? Bible.org's commentary on today's readings in Matthew chapter 11 titled "The Offer of Spiritual Rest" is at this link. Psalms - Psalm 14 could be seen at first glance as a discouraging Psalm for us as we look at verse 3: "But no, all have turned away from God; all have become corrupt. No one does good, not even one!" I think it is important to keep in mind that there is truth in this verse (particularly if we ever start thinking we're "good" and others around us are not...). But also I think it's good to keep in mind that this verse was written before Jesus came to the earth. Jesus was perfect. And through His resurrection we are called toward greater holiness and ultimately perfect goodness once we meet Jesus face to face in heaven. Jesus gives us the hope spoken of in the closing of this Psalm in verse 7: "Oh, that salvation would come from Mount Zion to rescue Israel! 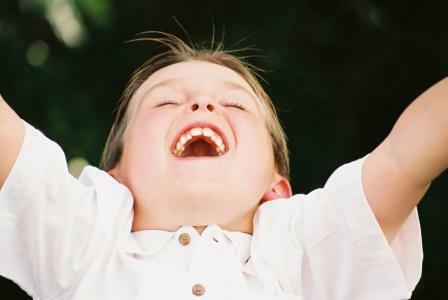 For when the LORD restores his people, Jacob will shout with joy, and Israel will rejoice." Do you recognize the salvation that has come to us? Are you shouting for joy for this salvation? Are you rejoicing!? Proverbs - Proverbs chapter 3 verses 19 & 20 are so truthful. If you look at the amazing way in which nature works, I don't see how you cannot believe in God. Could all of this majesty around us be just random chance? Do you believe as verse 19 teaches us: "By wisdom the LORD founded the earth; by understanding he established the heavens"? Do you believe in intelligent design? 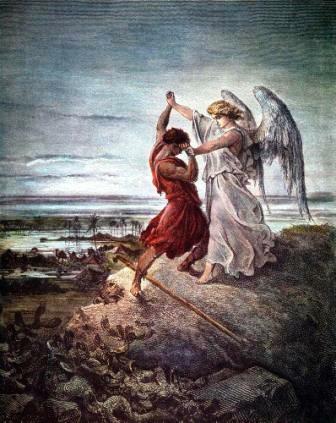 Comments from You and Questions of the Day: Let's talk about my fascination with wrestling in today's post... :) What is your take on Jacob wrestling with the angel and then being blessed by the angel? 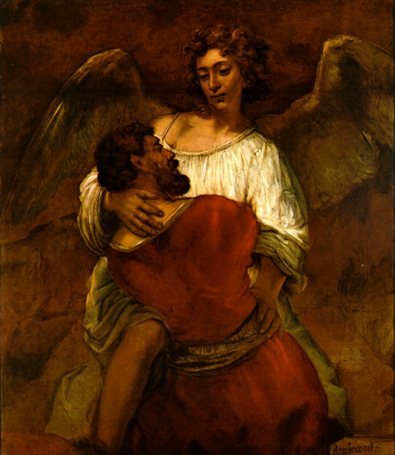 Should Jacob have not wrestled / struggled with the angel / God? Should we in our lives today not wrestle / struggle with God? Or should we wrestle with matters of faith sometimes? As long as we know God will win the wrestling match - is it okay for us to enter into a wrestling match with God or no? Is there a faith-journey wrestling match in your past that you'd be willing to share with others? Also, what verses or insights stand out to you in today's readings? Please post up by clicking on the "Comments" link below! Verse 42 stood out to me in today's readings as Jacob spoke to Laban: "In fact, except for the grace of God--the God of my grandfather Abraham, the awe-inspiring God of my father, Isaac--you would have sent me off without a penny to my name." I like seeing that Jacob is realizing that the grace of God has blessed him! I wonder if sometimes in our lives the grace of God is blessing us, and we don't realize it? Do you ever have those moments when you look back on a day, or a week, or even a year and realize that God's grace was so there - and yet... you didn't realize it at the time? Will you try to live more like Jacob in this verse - and recognize awe-inspiring God's grace more and more frequently in your life? And can you give praise to God for this ever-present ever-dependable gift of grace that is available to you? 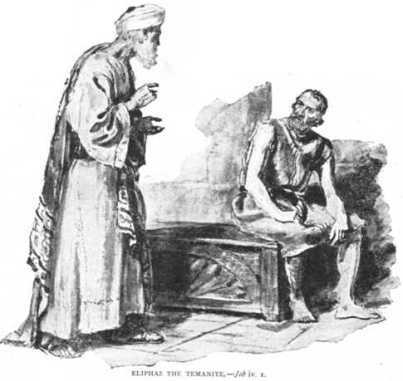 Bible.org's commentary on today's readings in Genesis chapter 31 titled "The Difference between Legality and Morality" is at this link and "Between a Rock and a Hard Place" is at this link. New Testament - Matthew chapter 10 closes out today with what might be considered some "hard teachings" of Jesus. 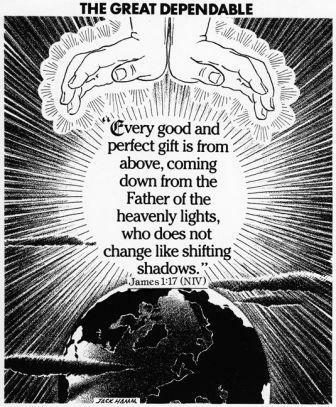 I think what stands out in my mind in reading these teachings is that while Jesus is certainly the Prince of Peace, he also has come into a world that is full of darkness - and the darkness fights against Jesus' light. So, if we decide to align ourselves with Jesus, and his eternal goodness and light, the darkness will also then fight against us - just as it fights against Jesus. As students and servants of Jesus, we will face the same persecutions that Jesus did. And while this is certainly true, think about the alternative - not following Jesus... and not walking in the light of God's love. I'd much rather spend 1 day in Jesus' light than 1 thousand days elsewhere... How about you? Verse 38 is the first mention of the word cross in the gospel of Matthew: "If you refuse to take up your cross and follow me, you are not worthy of being mine." What strikes me about this verse is that Jesus is teaching that we do have a cross to bear. And we have a choice to make of whether we will take up the cross and follow Jesus. 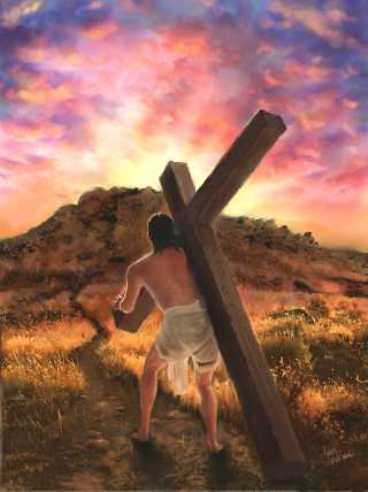 So, now may be a good time to ask yourself - what is your cross in your life? Do you think you know what it is? If not, will you ask Jesus to reveal to you what your cross is? And then, will you bear it daily? And will you follow Jesus daily? Matthew 11 starts off with an interesting question from John the Baptist to Jesus in verse 3: "Are you really the Messiah we've been waiting for, or should we keep looking for someone else?" I read an interesting commentary that said this is the beginnings of where we see that people are starting to wonder if Jesus is really the Messiah, because he hadn't overthrown the Roman government. 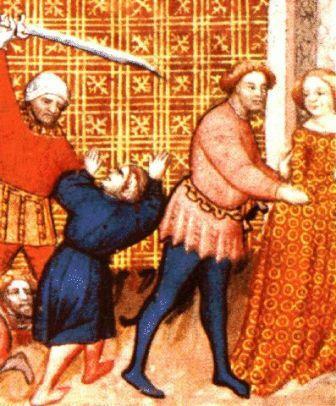 Many in Jerusalem were expecting a Warrior-King Messiah that would free the Jewish people from the oppression of Rome. And Jesus' ministry of "only" preaching, teaching, and healing was bringing up the questions of, "are you really the Messiah?" People were starting to wonder... Instead of the Warrior-King, they are seeing a Suffering-Servant, which was not what was expected. What do you personally believe the answer to John's question was and is? Is Jesus the Messiah? 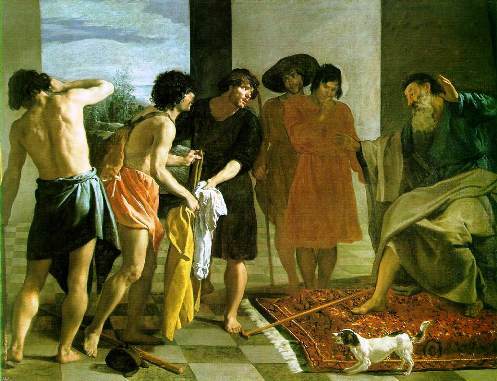 Bible.org's commentary on today's readings in Matthew chapter 11 titled "The Question of John the Baptist" is at this link. Psalms - Psalm 13 is thought to be a prayer by David for recovery from a grave illness, based on verse 3: "Restore the light to my eyes, or I will die." Yet, even in the midst of this serious illness, David amazingly proclaims in verse 5: "But I trust in your unfailing love." How about you? When you are sick or in the midst of a very challenging or sad situation, do you trust in God's unfailing love? Always? No matter what is going on around you? Do you trust that God will ultimately restore the light to your eyes? Proverbs - I love Proverbs chapter 3 verse 17! "She (wisdom) will guide you down delightful paths; all her ways are satisfying." Amen! What a great choice of words - delightful paths and satisfying ways. Do you believe that wisdom will lead you down delightful paths and that wisdom proves to be always satisfying to you? What if we do not pursue wisdom in our lives - might our paths be miserable and might we be always hungry and never satisfied? 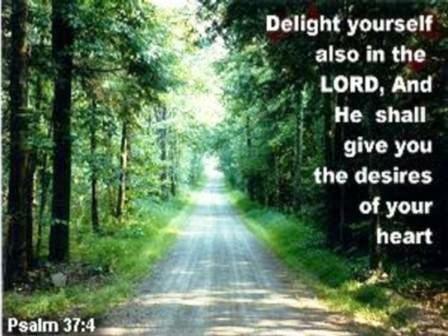 Let us ever pursue the wise path of true Delight in our lives! Comments from You and Questions of the Day: Based on the reflection in Proverbs above on Wisdom, what are some ways that you pursue Wisdom in your life these days? 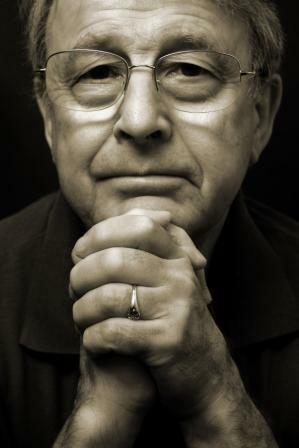 Do you believe reading the Bible for 15 to 20 minutes a day is one way to pursue Wisdom? 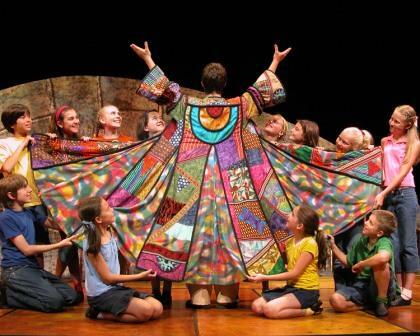 What are some "delightful paths" (per our Proverb above) that Wisdom has led you down in your life? Also, what verses or insights stand out to you in today's readings? Please post up by clicking on the "Comments" link below! 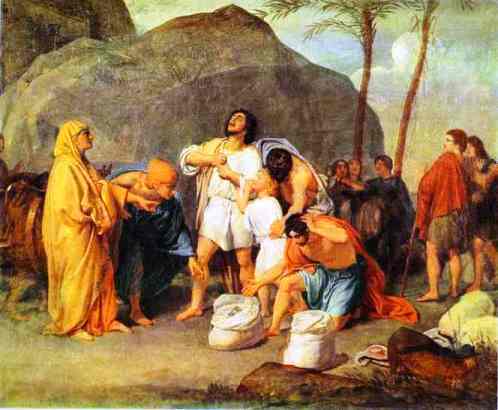 Bible.org's commentary on today's readings in Genesis chapter 30 titled "The Battle of the Brides" is at this link and commentary on chapter 31 titled "Jacob gets Laban's Goat" is at this link. 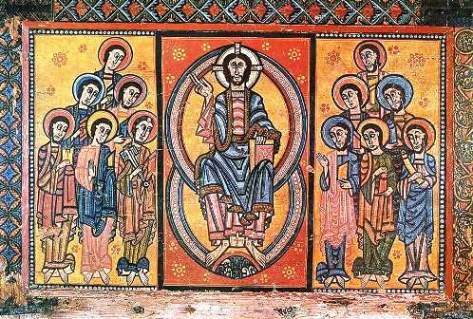 Bible.org's commentary on today's readings in Matthew chapter 10 titled "Wise as Serpents" is at this link. Psalms - Psalm 12 verses 1 & 2 are intriguing verses for me - "Help, O LORD, for the godly are fast disappearing! The faithful have vanished from the earth! Neighbors lie to each other, speaking with flattering lips and insincere hearts." Are there days when you feel like this? I think there are some days when I do... but not too many. I guess I sometimes wonder about the state of my heart - or if I've gotten enough sleep the night before :) - when I feel like this Psalmist does. It is interesting how this verse goes into people talking with "flattering lips and insincere hearts". I do notice right away when that's happening... particularly the insincerity. Maybe this is something we should ask of ourselves - do we talk at times with flattering lips or insincere hearts? Or are we sincere people? I like that thought... being a sincere person. I pray that we all are and can become more and more "sincere" in our dealings with each other and that we would just simply be sincere people. Are you a sincere person? Do you want to be sincere? Was Jesus a sincere person? Proverbs - Proverbs 3:13-15 are amazing truths for each of us to learn! I think these Proverbs are so different from what our world often preaches... "Happy is the person who finds wisdom and gains understanding. For the profit of wisdom is better than silver, and her wages are better than gold. Wisdom is more precious than rubies; nothing you desire can compare with her." Where are your true wages coming from in our life? Wisdom or money? Are you investing in things eternal - or things material? Which will give you ultimately a better return on investment? 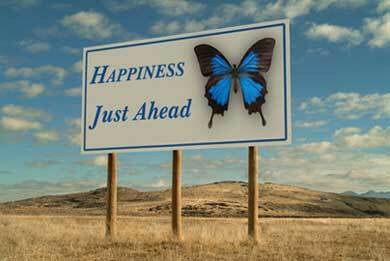 Do you believe that wisdom = happiness? Are you happy? 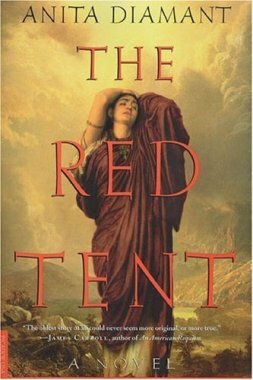 Comments from You and Questions of the Day: Based on my discussion of "The Red Tent" by Anita Diamant above, are there other Biblical fiction books that you have read that you would recommend? 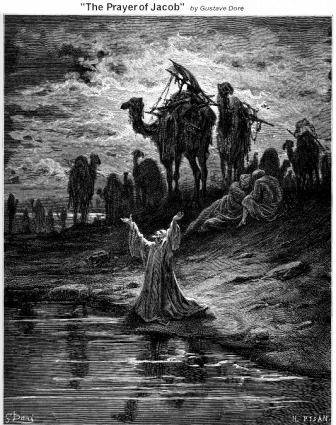 The Red Tent is the first Biblical fiction book I have read, and I'd like to read some more. Please post up in the Comments section below any other Biblical fiction books you'd recommend and why? Thanks! Also, what verses or insights stand out to you in today's readings? Please post up by clicking on the "Comments" link below! 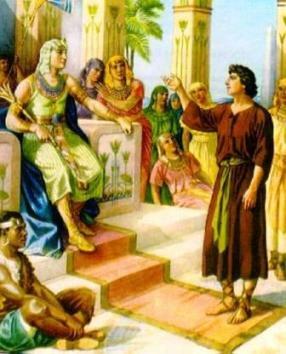 I do have to admit - Jacob's story and the parallel stories of his uncle Laban, Jacob's wives, and his sons - culminating with Joseph in Egypt - is one of my favorite parts of the Old Testament. This is just good narrative! I think one thing that really opened my eyes to all of the small details of the story of Jacob is that I was in an amazing Bible study for about a year going through this part of Genesis. 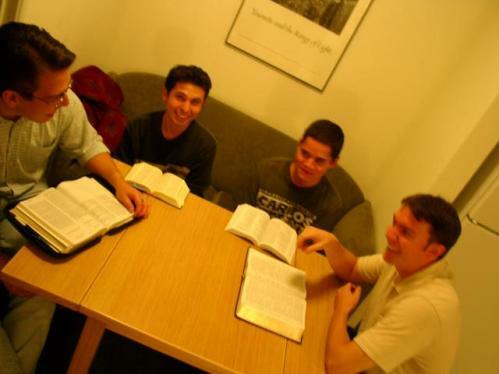 I don't know if you've been in a group Bible study before? If not, let me encourage you to join one! They are incredible. You get so many different perspectives from each person in the group - similar in some ways to what you are getting here on this blog - but more personal and I think far better. You get to go through the text with other people and really dive into things - and even have some fun joking around about things. If the church you attend has some sort of Bible study, will you consider checking it out this month of January? I know you will be incredibly blessed by this decision! I found verses 21 & 22 intriguing: "Then Jacob made this vow: "If God will be with me and protect me on this journey and give me food and clothing, and if he will bring me back safely to my father, then I will make the LORD my God." Do you notice the "if" / "then" statement in this vow from Jacob? Jacob is putting some conditions on what it will take for him to make God his God. Do we do this in our lives sometimes? Do we try to put "conditions" on God? Does this really make sense to do? What if our conditions are not met? What if things don't go as planned? Will we still love God as our God, even if the "conditions" in our life are not met or are not ideal? In Genesis chapter 29 Jacob arrives at Paddan-Aram, which was close to Haran. 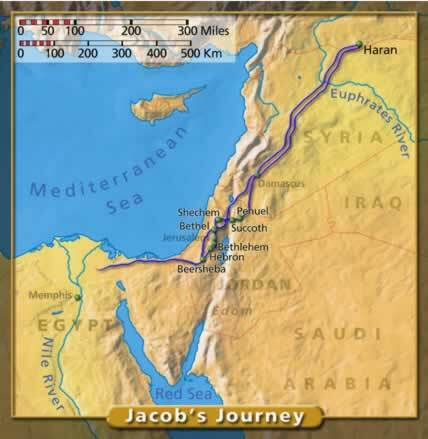 See this map below for where Jacob will spend the next 20 years of his life. All 12 of his children besides Benjamin will be born in this land! 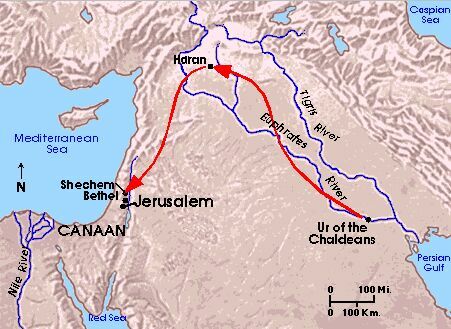 Note that this map below shows arrows going from right to left - because it's really a map of Abraham's early journey. :) But, you can see how far Jacob traveled from Bethel - where he had the dream discussed above - to Haran / Paddan-Aram at the top of the map. 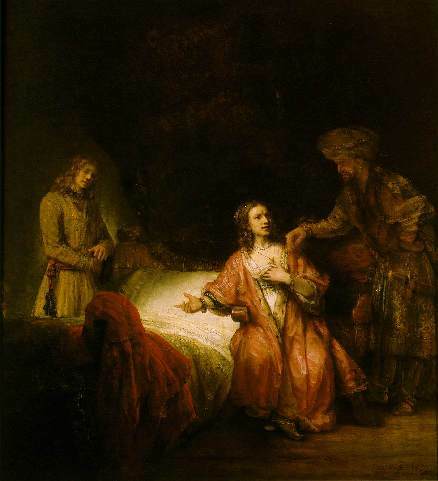 In this chapter Jacob meets Rachel and Laban, and works for 7 years to marry Rachel - except for the fact that Jacob was deceived by Laban on the wedding night! Which is a bit ironic, as we have seen in recent chapters that Jacob did some deceiving himself... I read one commentary that said for most of his life Jacob was so focused on getting the rights of the first born from his father Isaac - and now he must accept the rights of the first born in this surprise marriage to Leah! 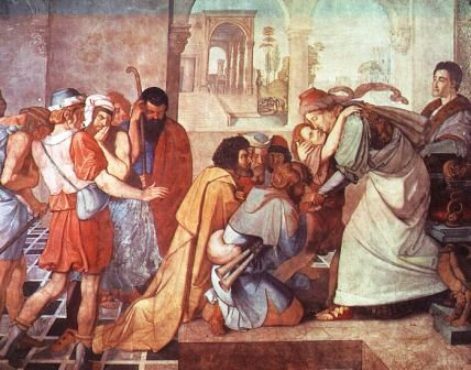 At the end of today's readings we see that Leah is beginning to have sons - including Levi who will be the ancestor of the Aaronic priestly line of Israel, and Judah who will be the ancestor of King David and ultimately Jesus Christ. 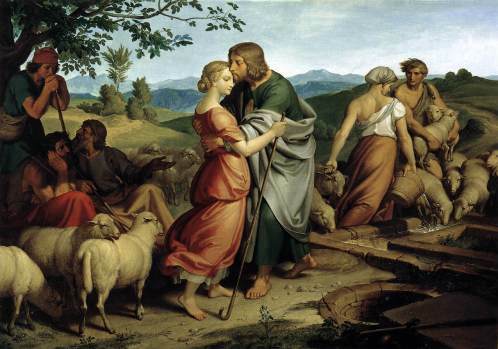 Below is an oil painting from 1836 by Bohemian painter Joseph von Fuhrich of Jacob encountering Rachel with her father's herds in verses 9 - 11: "As this conversation was going on, Rachel arrived with her father's sheep, for she was a shepherd. And because she was his cousin, the daughter of his mother's brother, and because the sheep were his uncle's, Jacob went over to the well and rolled away the stone and watered his uncle's flock. Then Jacob kissed Rachel, and tears came to his eyes." Bible.org's commentary on today's readings in Genesis chapter 28 titled "The Seeker Is Sought" is at this link and commentary on chapter 29 titled "I Led Two Wives" is at this link. 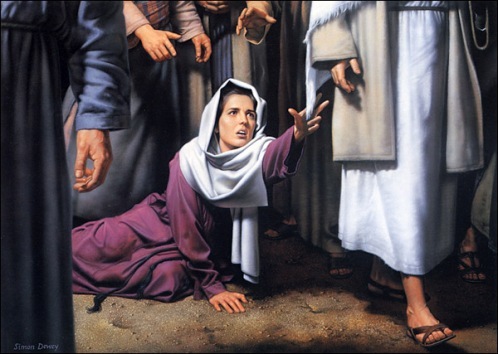 New Testament - In Matthew chapter 9 today we read about Jesus healing in response to people's faith - the faith of the father, the faith of the woman, the blind men, and many others. It is amazing to remember that the Old Testament prophet Isaiah predicted these types of healings would take place in the Messianic age. 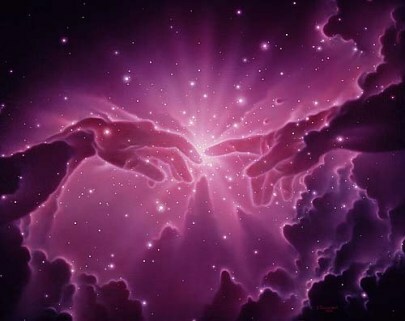 Check out Isaiah chapter 35 verses 5 & 6: "Then will the eyes of the blind be opened and the ears of the deaf unstopped. Then will the lame leap like a deer, and the mute tongue shout for joy." This image below of the woman reaching for Jesus' tassels from today's readings is one of my favorite images of faith. Have you ever reached out in faith to Jesus like this woman did? Verses 37 & 38 are so powerful in today's readings: "He said to his disciples, "The harvest is so great, but the workers are so few. 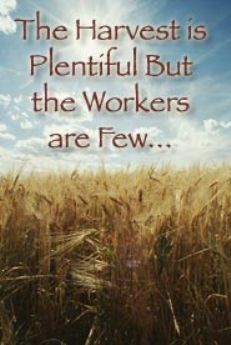 So pray to the Lord who is in charge of the harvest; ask him to send out more workers for his fields." I think each of us can reflect on this teaching from Jesus. Do you agree with Jesus that the harvest is so great? And the workers are few? 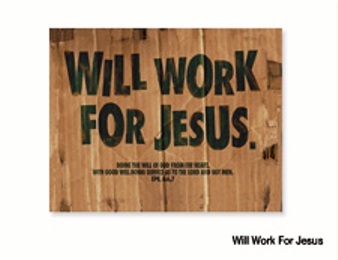 Will you pray to God for more workers for his kingdom work? Are you one of God's workers in his kingdom work? Bible.org's commentary on today's readings in Matthew chapter 9 titled "Authority Over Death" is at this link and "The Authority to Give Sight" is at this link. Psalms - Today we read Psalm 11, which is one that you might miss the full meaning of if you didn't know some of the commentary behind this Psalm. Basically in this Psalm King David is expressing his unshakable trust in God to other people around him who are very scared of enemy attacks. Knowing this - check out verse 1: "I trust in the LORD for protection. So why do you say to me, "Fly to the mountains for safety!" Like David, do we really trust in God for our protection? Or do we sometimes rely on others or our own cunning - or, our own fear - for protection? Are there times when we are faced with a challenging situation that we feel like running away from it? “Fleeing to the mountains” for safety? When, instead, should we simply trust in God for our protection and move forward in spite of the fear within us? Is there an area of your life where you need to turn over more trust in God for ultimate protection? Will you flee to God only instead of fleeing to the mountains? Comments from You and Questions of the Day: Based on our Proverbs reading today, do you believe there is such a thing as godly discipline? Do you believe that God corrects those that he loves? Can you think of any areas of your life or times where God has corrected you? Is there perhaps an area of your life today where God is correcting you? Will you not ignore this correction any longer? Will you allow God to correct you? Also, what verses or insights stand out to you in today's readings? Please post up by clicking on the "Comments" link below!